The Southern Elite Productions presents “SUMMER MADNESS 2014” – DJ JVC | DJ for hire in Philippines | DJ Mixtapes, Clubbing and Music Festivals in Manila, Philippines. 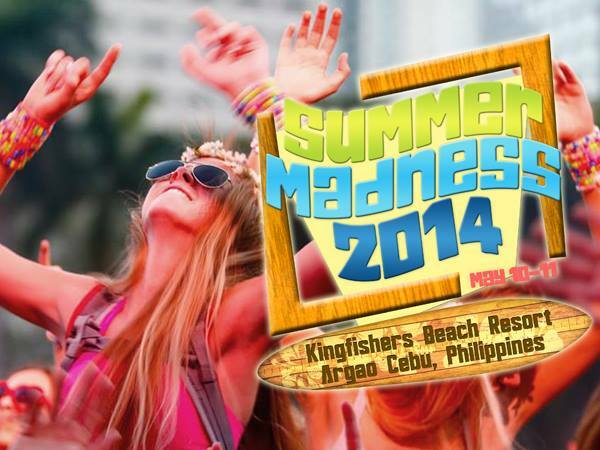 #Summer #Madness 2014 is an electronic music festival that will be held at Kingfisher Beach Resort Argao Cebu in partnership with the Local Government Unit of Argao. The event will take place on May 10, 2014 from 12:00nn to 3:00am the next day. DJs in Manila and Cebu were invited and have agreed to perform live on stage, by providing beach-goers with the heart-pumping beats of electronic music. There will be food, photo booth, water sprinklers, and much more to give participants the ultimate beach party experience. In addition, there will be an exhibition games such us beach volleyball, skimboarding competition and BMX. This event will not only give participants a whole day of jam-packed days of summer fun and enjoyment, but it will also benefit the Argao Tourism Commission. Through this event we can promote the rich culture heritage, history and tourism industry of Argao. Thus, it will also help the town to be known as a summer capital of southern Cebu thereby attracting more tourists. We will also include Bantayan Central School and Sillion Elementary School in Bantayan Island that were badly affected by the typhoon Yolanda last year as the beneficiary of the event. The official beneficiary of this event will get school supplies and materials that can be used for this coming school year in June. For inquiries, please do not hesitate to contact Chris Camello, mobile number 0923 2271132 for further discussion.